View More In Tile Games. The BlueSnail Standard Wooden Domino Blocks Set design for the classic domio tile games. Push one of them, it will have a chain of effect. Suit for kids education, develop imagination, math, science, spatial and tactile skills. 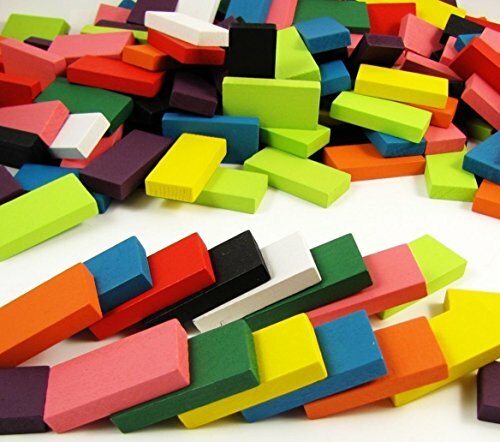 240 pcs The BlueSnail Standard Wooden Domino Blocks Set with separate plastic film packaging. 1. The color of it may different. We will mix the colors and ship stochasticly. The picture is only for reference. 2. Due to the difference between different monitors and the light influence on the camera, the picture may be a little different from the actual color of the item. If you have any questions about this product by BlueSnail, contact us by completing and submitting the form below. If you are looking for a specif part number, please include it with your message.